· Outlook on the web (OWA) policies enable features such as the premium client, signatures, access to recover deleted items, the Office 365 Groups and areas of OWA such as the calendar, IM, people and tasks. · In-place hold policies are used to configure how long mailbox items should be kept, even after changes are made. Most organizations migrating to Office 365 who have compliance requirements will need to create relevant polices here, or configure journal recipient addresses to an on-premises or third-party system. · Mobile device mailbox policies are primarily used to manage ActiveSync devices, but also manage the OWA App for Devices. The key change most organizations make is to require devices to be locked with a secure PIN code. 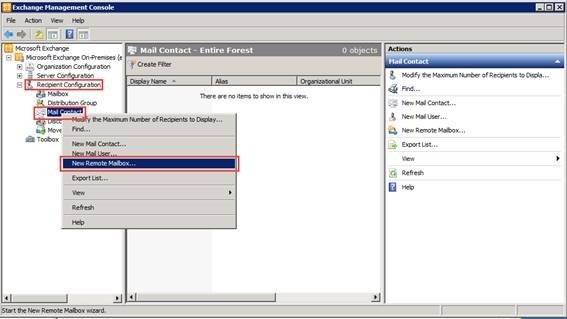 · Unified Messaging Mailbox Policies should be configured in combination with UM Dial Plans and modifications to the on-premises Skype for Business, Lync or other environment. 1. The client will attempt to connect to the on premises Autodiscover name. 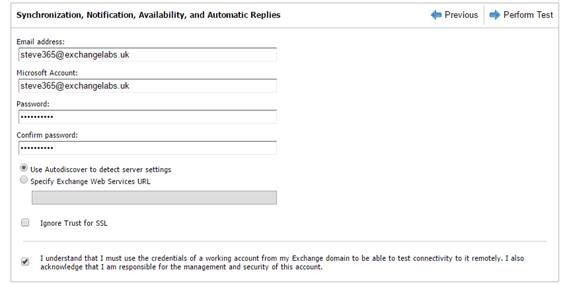 The on-premises Exchange Servers will return the Office 365 mailboxes’ remote routing address to redirect to, in the format <alias>@<tenant name>.mail.onmicrosoft.com. 2. The client will use the remote routing address as the basis for performing a second Autodiscover. 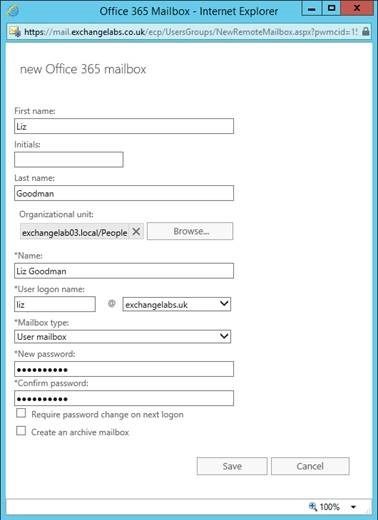 The client will perform a DNS lookup against the name autodiscover.<tenant name>.mail.onmicrosoft.com. An initial HTTPS connection will fail, and the client will re-attempt using HTTP, without sending credentials. 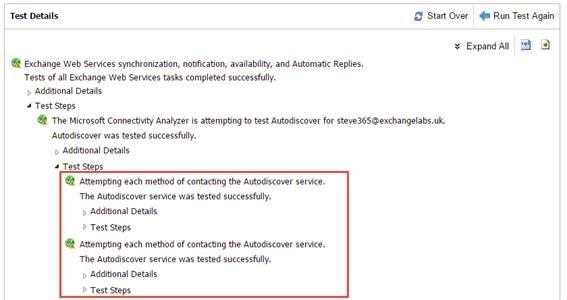 A redirect to autodiscover-s.outlook.com will be received and the Autodiscover process will successfully complete.